You will get someone who knows leadership, offers proven and recognized content, studied along side leadership greats, applied leadership and got results! You can’t change the economy, the weather or print money. How can you realize increased sales, more profits, less turnover, greater customer loyalty and less stress? You can realize all these things by growing your leadership expertise. Leadership can take you from running your business to growing your business. 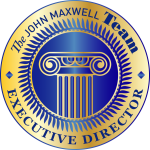 With four leadership principles you can go achieve far more than you may think possible. Everything rises and falls on leadership. Learn how you can rise to new levels by growing your leadership. Your current results are not an accurate picture of your potential. Leadership opportunities are ready for you are you ready for the opportunities? When you grow your leadership you will increase the value you bring and unlock your potential. Invest in yourself, grow your leadership and other people will buy into you. By mastering three leadership growth laws you can increase your opportunities and your business. Learn how to grow yourself, grow your leadership and grow your opportunities. It is easy to be average, to be okay with okay and allow mediocrity to become the goal. You can hit your goals and miss your potential, you can hit success and miss your potential. You Deserve More and can have more! Challenge the status quo of leadership mediocrity and move beyond goals and reach for potential. Learn how the most successful people think and what they do to have more and achieve more. Don’t say you want more and settle for less… You Deserve More! 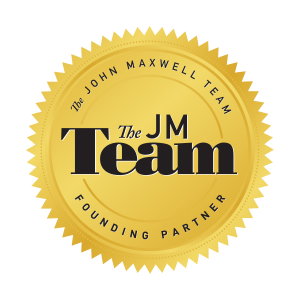 I have been trained and mentored by John and his staff and certified as a John Maxwell Coach, Teacher and Speaker. Beyond this I was trained by top speakers in the National Speakers Association and I am a graduate of the Cavett Institute for Professional Speaking.